We were briefed to create packaging for a range of chutneys and preservatives which every customer would be proud to have on their kitchen table, carefully considering colour, illustration and type. We also needed to acknowledge how the huge range of products could be diverse yet cohesive. 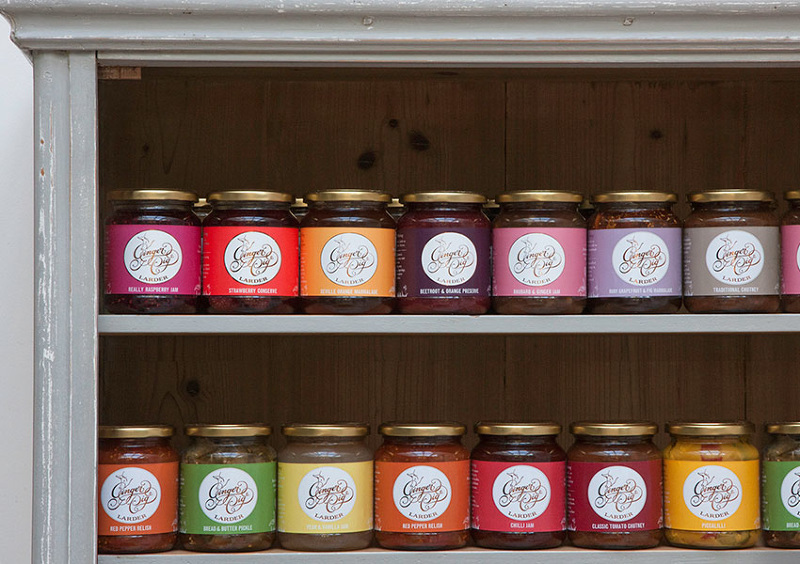 The Ginger Pig chutney and preserve labels were designed to look great as a set but still be individually distinctive. The majority of the ingredients are grown on the Ginger Pig Farm in North Yorkshire, in their very own Victorian vegetable garden. Capturing this romance of the farm, we have incorporated Victorian illustrations of the beautiful wild flowers that grow in abundance around the area. 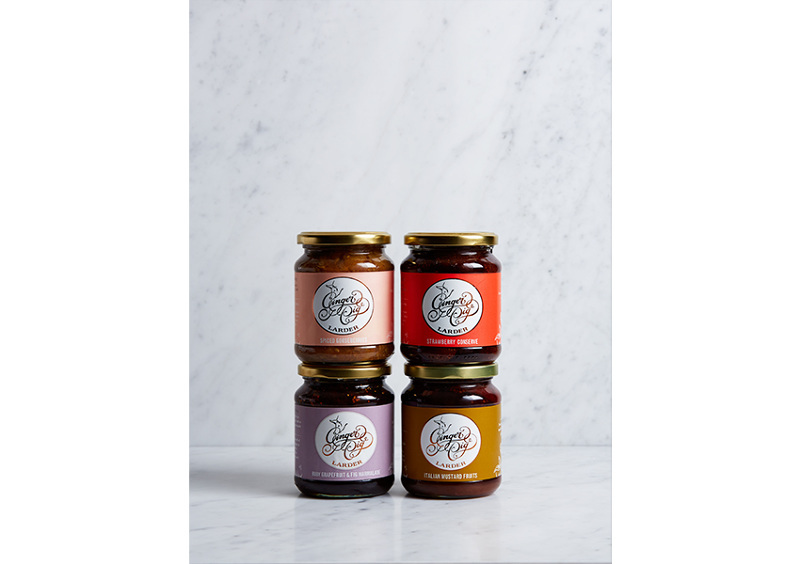 The colour of each individual chutney and preserve was carefully chosen to reflect the freshness and vibrance of the main ingredient used.